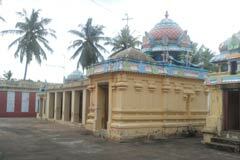 The temple is praised in the Thevaram hymns of Saint Tirugnana Sambandar. 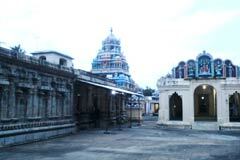 This is the 122nd Shiva temple on the southern bank of Cauvery praised in Thevaram hymns. 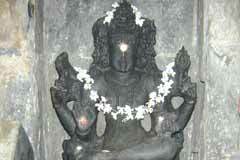 Tirukarthikai in November-December and Maha Shivrathri in February-March are celebrated in the temple. 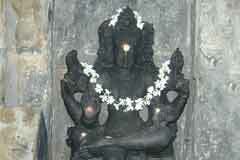 Lord Shiva in the temple is a swayambumurthy. 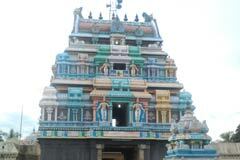 This is one of the few Shiva temples with Perumal also. 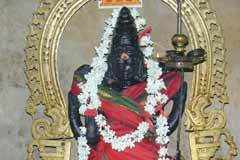 Lord Srinivasa Perumal graces the devotees in the temple. 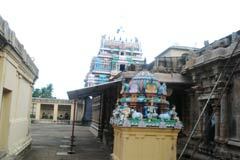 Sri Kaichinneswarar Temple, (Tirukaichinnam), Kachanam – 610 201. Tiruvarur district. Devotees contribute to the best of their ability for the renovation of the temple. Condemning the act of Indira, he cursed him. Though Akalika was chaste, with a view to get her further purified by Lord Rama, he converted her into a stone. 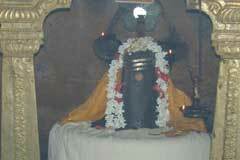 For relief, Indira prayed to Lord Shiva, who advised him to make Linga of sand and worship it performing abishek. Indira knew that it was not possible to perform abishek to sand Linga as it would dissolve in abishek water. He had to suffer long as Lord Shiva was not willing to pardon his dirty crime. He turned his worship towards Mother Ambica. Finally, he embraced the Linga and cried aloud that he would never misbehave with women. His finger prints set on the Linga. As he sincerely prayed, Lord granted pardon. 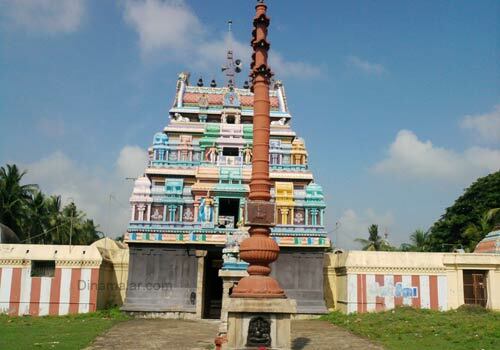 As Indira’s finger prints (Kai chinnam-rekhas) were set on the Lord, He is named Kai Chinneswarar gracing the devotees in this temple with Mother Palvalai Nayaki. Kachanam village is 15 km far from Tiruvarur on the Tiruthuraipoondi road. The temple is on the side of the road. Royal park: +91 4366-251 020 to 023.